Vintage Petrol Lighters, Ashtrays, Tobacciana and Other Useful Mechanisms. A basic understanding of flint/wick lighters. 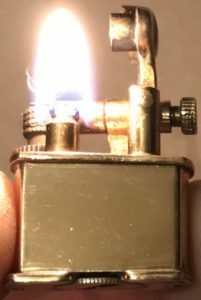 I’m writing this article from the standpoint of service on and repair of your basic flip-top Zippo/Ronsonol fuel(naphtha) type lighters. I don’t have any complaint with Zippo, I love them. I am however, currently infatuated with Champ Austria, mainly because of the flip-up wind cage design. The same elementary mechanics are employed in most vintage lighter repair and service projects. If you can manage to work a screwdriver and possibly a drill, then you can perform these basic tasks all by your lonesome. They all work off the same basic ideas. There are countless iterations from unfathomable numbers of manufacturers. Occasionally, a particular company tweaks an idea, adds an element or otherwise improves and builds upon the designs that came before it. Pressurized butane fueled lighters can provide challenges that make it hard for me to recommend doing much work on them, especially if you’ve yet to master the simpler naphtha lighters. While piezo electric ignitors are common, butane lighters are sometimes sparked by the same flint systems as naphtha lighters. In that case, you’re not really putting yourself in any danger changing a flint. Most naphtha lighters have an enclosed case or removable insert that holds the fluid. Any naphtha lighter that I have seen, this same apparatus is fit with a hole through which the wick is inserted. The method used to fuel the wick sometimes varies but you must have a wick in the hole or your fuel will run out. Another common element in naphtha lighters(the Scripto Vu-Lighter would be one exception) is the rayon balls or cotton filling that absorb and hold the fuel. I don’t think it makes any difference which you use, I’ve used cut up t-shirt material several times and it works just fine. The key is to work the wick around the fuel chamber in a zig-zag fashion through the stuffing so you have proper dispersion from side to side and on all levels. It is perfectly fine, as the wick shortens, to pull it through a little at a time rather than completely reposition everything in the fuel compartment. That can hold off unless or until your lighter refuses to light or stay lit properly. To say that corroded flint tubes are a problem with vintage lighters would be an understatement. It’s difficult to imagine how many collectible or otherwise desirable lighters have been thrown away over the yrs simply because the flint was corroded and obstructing the tube. In most cases, a drill of some sort will be required to clear the obstruction. Flint is relatively soft, so if you have plenty of time the job can be done with a hand tool but you are going to need a cutting bit. That would take a long time though. To my right, where the whiskey used to be, there’s a 4.8 volt cordless electric drill and 1/4 inch hex shank drill bit set. If you don’t already have these, you can find them used for a few bucks on EBay or your local thrift store or new at Harbour Freight Tools, Wal-Mart, Amazon.com, etc. for less than $25. Just find the bit that fits comfortably in the tube without bouncing around in there and start drilling with light pressure being applied toward the corroded flint. You should feel the flint give as you drill through it and will be able to judge your progress by the shaft of the bit. Many of the Ronson lighters have curved flint tubes that make this operation a little more tricky. But the good new is many of those same lighters are fueled by butane so you may have already disqualified yourself from working on them anyway. When fueling a naphtha lighter, use caution not to over fill it. As long as you don’t have any open flames around, over filling should not be that big a deal. Never attempt to ignite a lighter that you have over filled until you know for sure the outside surface has dried and vapors have dispersed. You could potentially burn your house down by making one careless mistake, so be careful. I have enough pyromaniac in me to make me slightly dangerous. I purposely set fires all day every day. Granted, they tend to be confined to metal boxes no bigger than a couple square inches but a careless mistake could be catastrophic. 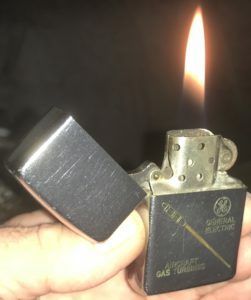 Before I move on to the next phase of our discussion, I want to say a couple things related to pressurized butane fueled lighters, especially old ones. it will hold fuel. If you attempt to fuel it and butane squirts all over the place, do not make any further attempt at sparking that lighter! Also before testing any butane lighter, take note of your surroundings. Go outside if you can or test it over the kitchen sink filled with water. Bottom Line: don’t put yourself in a position where you have a hand full of fire and no where to safely throw or extinguish it. A Question to Ponder: Are You Useful? There are a ton of old cigarette lighters out there just lying around in basements, attics, junk drawers, etc. that can still be very useful. Maybe not in their current state but with just a little attention from you, they could be given new life. When was the last time you were complimented on the plastic Bic someone bummed off of you? Pull out a Beattie Jet Lighter next time someone needs help lighting a pipe and I promise you, your lighter will be the topic of conversation. Or a Golden Wheel Mini lift-arm lighter, Scripto Vu…well, there are far too many to list here but I would love to discuss your favorite old lighters or hear any tales of nearly burning your house down in the comments below this post. Very interesting, and useful article on old lighters. I had many of the lighters you have pictured here. Wish I still had them. I’m sure some would be worth a pretty penny. I may have to start collecting these again as my interest is piqued after reading this blog. Thanks for sharing. Thank you, Tom. I know people like to collect things and if they’re going to collect it, they’d like it to be worth something right? What if the real value, though was in the job the item performed? 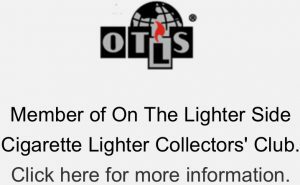 You can read more about using collectible lighters here. Fascinating article! It is amazing to see the different designs of these lighters and how they changed over time. I had no idea what the mechanics of a lighter were or how you would even go about repairing one. I would have never thought to find out. This is very useful. Thank you, Melissa. You’d be surprised how many useful tools there are out there that may be just a little different than what we’ve grown accustomed to but in many cases, are actually better suited to perform the task than their cheaper quality, disposable counterpart. Thank you, Jennifer. You can read more about repairing old lighters here. Your husband is not alone with his dust collector but at least he didn’t throw it away. I used to have so many cool butane and zippo lighters laying around that I’m pretty sure my friends agreed that I indeed had many. Maybe even to many in their eyes. Therefore, I’m sure they didn’t feel too bad as they found my lighter in there pants pocket when they got home. I can’t get too mad at them because I was the worse at pocketing lighters back in the day. It’s never intentional, just a bad habit. I’m going to start salvaging my old skoo lighters from all my junk drawers. I think I want to display them after I get them in working order. I don’t plan on taking them to party’s. Not until I buy another lighter leash. Have you heard about that product? Thank you, Drake. I appreciate the comment. I don’t know that I have owned a lighter leash but I have had similar gadgets designed to keep your lighter attached to you. 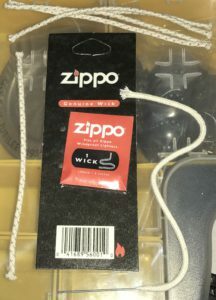 Zippo used to make a lighter called Loss-Proof that incorporated a thick wire loop into the hinge mechanism that allowed attachment of a lanyard of sorts. They are pretty rare these days but come on handy if you can find one. You can find Loss Proof Zippos here: https://www.ebay.com/sch/i.html? I was given a lighter made from an old 5 Peso coin. it needs a wick and flint. Also I can’t figure out how it opens to put the lighter fluid in. I am looking for someone to repair a vintage Intelite (Japan) butane light. Will yu point me in the right direction? Thank you in advance. Hello, John. Thanks for the question. I am not aware of anyone who repairs the fuel system on those Intelite lighters, nor do I recall seeing replacement valves for sale. If it will hold gas, then you should be able to clear the flint tube of any degraded flint and regain your spark but if it is leaking butane I’m not sure it can be repaired. I have found an old lighter I would like to get repaired and use. It appears to use butane because I see an insert area. The inscription is hard to read. It seems to have a stylized eagle on the top and then says “refree(?) tiger. Below that it says “windproof lighter’. Hello, TR and I appreciate the question. Have you tried to fuel the lighter and if so, did it leak? Does the lighter produce a spark when you strike it? From the information you’ve given, I’m guessing your lighter is ignited with a piezo-electric spark. That piezo system can not be repaired if it fails. Hello, Stewart, thanks for the question. 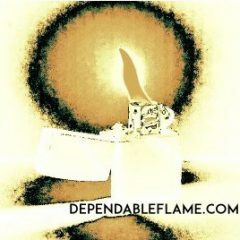 I’m not sure what would cause your email to bounce back but I’m receiving email at: bossman@dependableflame.com. I don’t charge to fix lighters or clean out flint tubes, replace wicks, etc. via mail but I can probably save you the postage and guide you through the process via email. Just snap a couple pics with your phone(top, open if there’s a lid and the base of the lighter) and email them to me. If you can’t get the email to go through, text them to the number at the bottom of the article. Thank you for writing a very knowledgeble site. I was given a Frank M. Whiting HyGlo tablelighter from 1938. How do you dismantle it to change the wick , flint and cotton? collar down by the glass foot clockwise, or is the little central holder for the wick and flint supposed to be pulled or screwn out counter-clockwise? I have tried for a long time, vainly. Could old silver polish have glued it together – should I immerse it? What do you do to get it lit? I would be very grateful to learn the secret somehow. Hello Sea and thank you for the question. I believe both the cap and insert(which contains the wick, fuel and flint wheel) should come out or off with slight pressure in either the clockwise or counter-clockwise direction. It is very possible that some old polish or other agent has seized and bonded parts which should slip through. The Great Ebay Feedback Debate: Should Ebay Sellers Leave Feedback for Buyers?